"Venice Italy Tours for those staying in Venice before or after the cruise can be more affordable than those you can buy onboard!" If you have been to Venice before, you decided to stay in Venice city for a day or two before of after your Europe cruise or have an overnight stay in Venice as part of Mediterranean cruise ship's itinerary, you will have more time and more options when it comes to Venice sightseeing. And you've come to the right page if you need some help making the most of it and booking some Venice Italy tours. That's because on this page we will recommend Venice Italy tours for those that have already seen the top Venice sights like Piazza San Marco, Basilica di San Marco, Doges palace, Bridge of Sighs, Venice Grand Canal, caffe Florian Venice, Rialto bridge in Venice or plan to see them on their own during their stay. However, if you only have a short time in Venice and still need to master the top Venice sights, you will want to visit our page Venice excursions. 1) On your own: by means of a Venice water taxi, Venice vaporetto or a regular land Venice taxi﻿. Or you can book your Venice transportation ahead and have a hassle free day. Now that we have made sure you have arranged your getting in and out of Venice city, let's see what Venice Italy tours recommendations are there for spending your time in Venice. 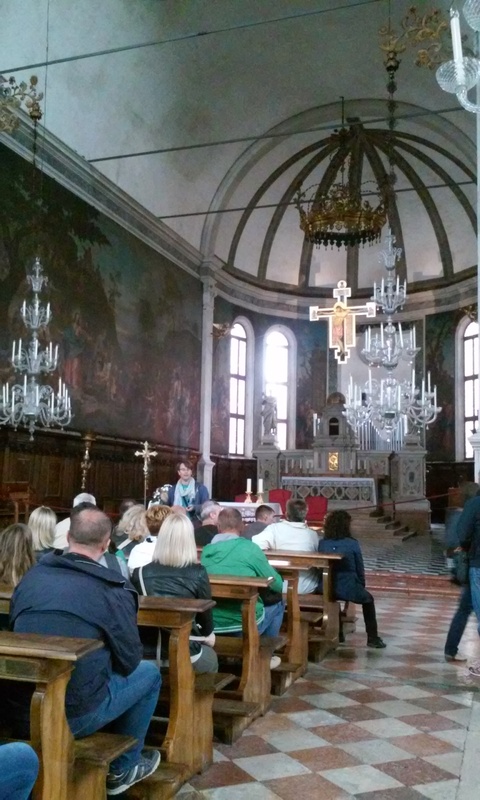 And if you happened to miss our Venice tours page, we need to point out these tours are recommended by Viator, the agency that ensures their Venice Italy tours prices are 100% guaranteed to be lower than the ones you would pay when booking through your cruise line. You will be taken to see how Murano glass is made, have a chance to shop for some spectacular pieces (our favourite are chandeliers! 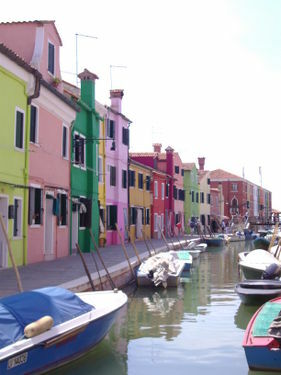 ), then see the quaint and colourful Burano with its famous lace and Venice's first church on Torcello. Looking to spend some romantic time in Venice with that special someone? This tour will be a perfect surprise for them! Do you dream of taking home some really great shots of Venice? Some you could even put up on the wall? No problem, take your camera and book for your private photograpy lesson with Venice as your classroom. You will get to taste some of the wines together with some tasty apetizers, get to shop for them and learn how to combine wine with cheese...now that's something to brag about to your friends back home!